Workers in many occupations, including first responders, housekeeping personnel in some industries, nurses and other healthcare personnel, all may be at risk for exposure to bloodborne pathogens that can cause disease in humans. Antimicrobial hand wipes are formulated with 66.5% ethyl-alcohol to help you meet CDC, APIC and OSHA hand washing recommendations. 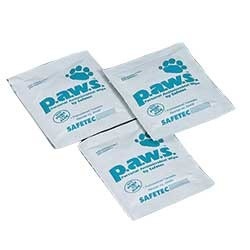 Wholesale Direct offers individually wrapped towelettes that kill 99.99% of germs, but also remove debris and soil from hands and under fingernails with a virucidal activity against hepatitis B (HBV), hepatitis C (HCV), human immunodeficiency virus (HIV) and Avian Flu A.
Antimicrobial Wipes There is 1 product.